Like many Americans, I’ve had an inkling of where my family can be traced back to, and I’ve always associated myself most with a German heritage. After going through the record of my ancestry my sister spent months pulling together, I was only half right. From my mother’s side of the family it is German including German towns within the Austro-Hungarian empire. However, on my Dad’s side, we’re from France and Switzerland. Surprisingly, I’ve never associated myself with being from either one of those places. My ancestors didn’t come here to hold onto where they came from but instead to dream about what lay ahead. 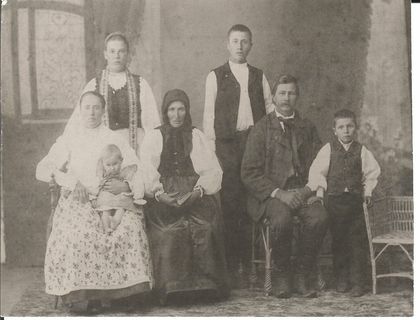 The picture above is my great grandfather’s family. He’s not pictured as one of the siblings because he left to come to America and start his own life, soon to meet and marry my great grandmother and have 9 children of which my grandmother was one of the youngest. I’m sure they missed him but wished him well. You are currently reading embracing the American dream at 52 To Do.